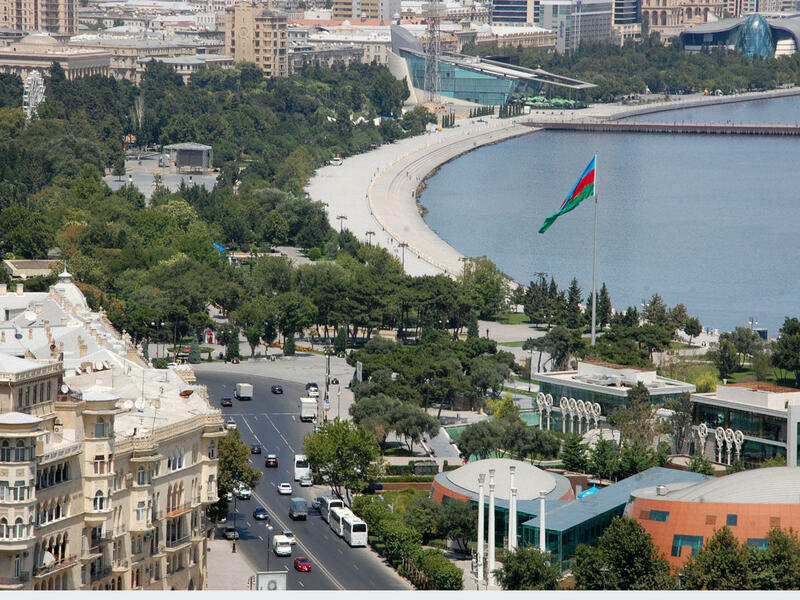 Gloomy weather will be observed in Baku on August 15. Rain is predicted in some places at night and in the morning. Mild north-west wind will blow. The temperature on the peninsula will be +21-24˚C at night, +25-28˚C in afternoon in Absheron peninsula, +21-23˚C at night, + 25-27˚C in the afternoon in Baku, the Ecology and Natural Resources Ministry reported. Atmospheric pressure will be 761mm; relative humidity will be 75-85% at night, 55-65% in the afternoon. Sea water temperature will be 23-24 degrees on Absheron beaches (Sumgayit, Novkhani, Pirshaghi, Nardaran, Bilgah, Zagulba), the sea water temperature will be 24-25 degrees in southern beaches (Turkan, Hovsan, Sahil, Shikh). Mild north-west wind will blow. Rain is expected in country's regions.West wind will blow. The temperature will be +18-23˚C at night, +25-30˚C in daytime, +9-14˚C in mountains at night, +17-22˚C. Comfortable air condition on Absheron peninsula on August 15 is favorable for meteo-sensitive people. Ecologists warn that unstable weather conditions will continue on August 15 in the country. Lightning, intermittent rain is expected in some places. Torrential rain predicted in separate places. West wind will blow and will occasionally intensify in some places. The water level predicted to increase in rivers.